It has been a busy week to say the least. Following on from my blog post about little one’s Yumbox I received an exciting message this week. Eatwell-UK contacted me asking if I would like to host a discount code for a couple of weeks for my followers. Of course I said yes! 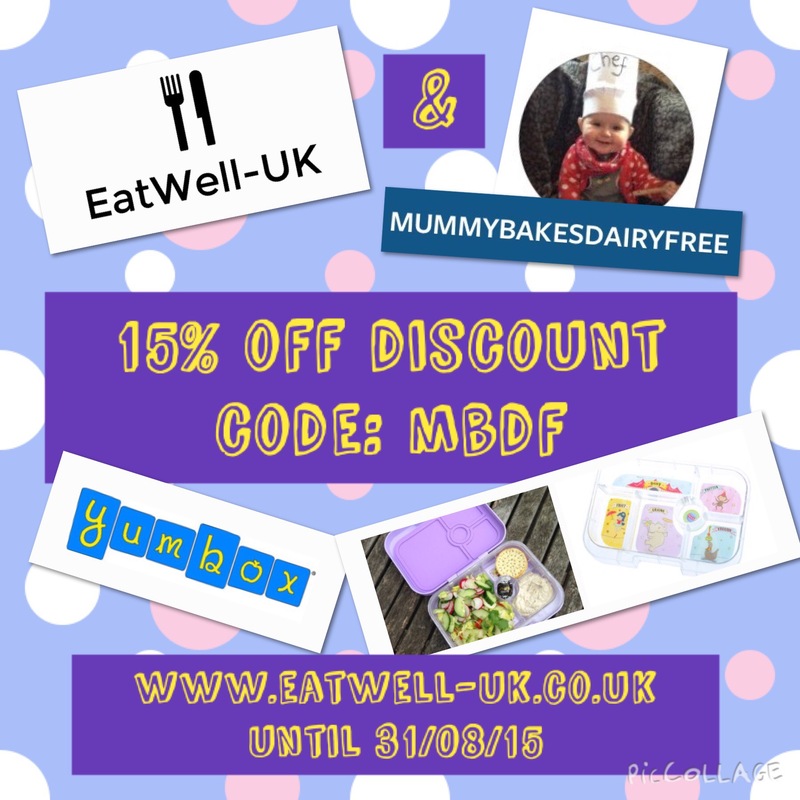 So if you would like a chance to get a Yumbox at a discount head over to www.eatwell-uk.co.uk to get 15% off until the 31st August 2015 using the code MBDF. I know of a couple of followers who have taken the offer up already and ordered their Yumbox, so make sure you check out the website. I’m seriously tempted to get myself one with the adult serving insert. Just need to decide on what colour! After months of planning we launched our new business, CabCam, on Saturday. 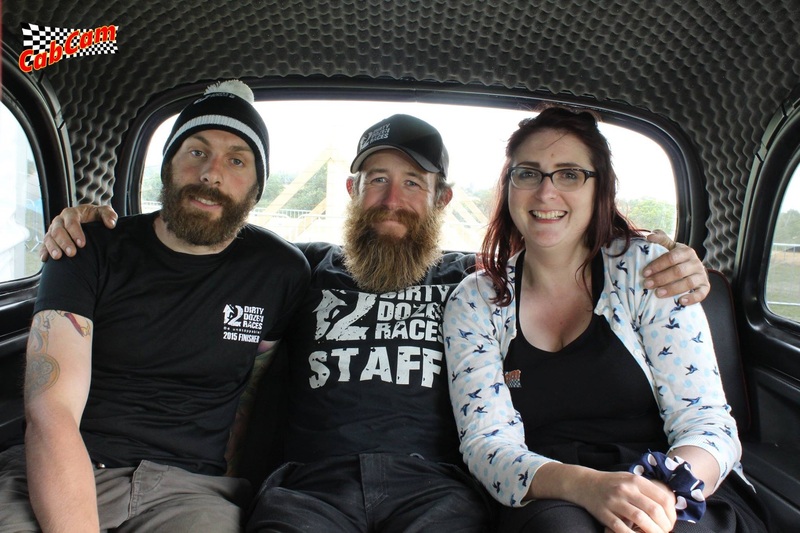 We took the cab to Essex to take part in the Dirty Dozen Races. My husband runs in obstacle course races and it was a great place to launch our business. After the runners completed the 18km, 12km or 6km (some completed all 3 in one day!) they headed over to our cab photo booth to get their photo taken! There was a great atmosphere at the event and we got to meet lots of lovely people. After months of hard work and more than a few stressful moments it was fantastic to see so many people having fun in the cab and laughing at their photos. My husband and his brother completed the 18k course wearing swimming flippers and helped to raise a few hundred pound for Great Ormond Street Hospital which made the day perfect. 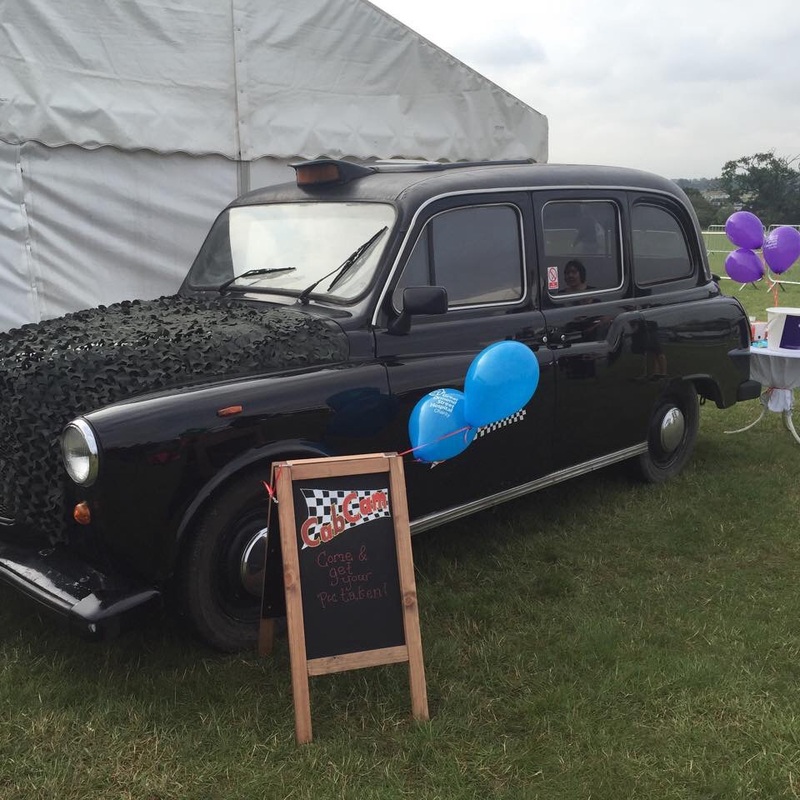 We have a couple of wedding fairs in September which I can’t wait to go to and we’re looking forward to taking the cab back to the Dirty Dozen Races next year. From left to right: My husband (Mr Mummybakesdairyfreedairyfree), Doug Spence (The Beard and co-creator of Dirty Dozen Races) and me (the mummy of mummybakesdairyfree) in CabCam. You may remember from my last blog post that I am helping to cater for a vegetarian, gluten free camp. I have a couple of recipes from the camp that I’ll post over the next few weeks. 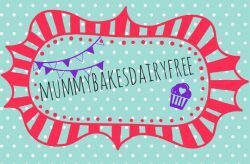 All are dairy, egg, nut and gluten free!